This 1961 Studebaker Lark looks to be a nice driver that has somehow survived the harsh winters of Buffalo New York where it currently resides. There is little information given by the seller other than it is very clean, nice looking and has a manual transmission and a 6 cylinder engine. Found on Collector Car Ads, the seller is asking $8,000. 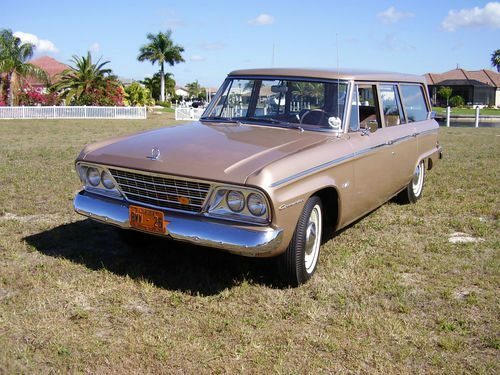 Studebaker was in dire straits by 1965. The South Bend plant had closed in late 1963 and production was consolidated to the last remaining production plant in Hamilton Ontario. It would be just a few more years before the plug was finally pulled on March 16, 1966. 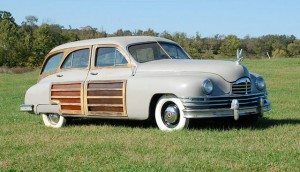 Despite the woes that the company had been going through since the mid 1950’s Studebaker produced some of the more innovative cars of the time including the Studebaker Wagonaire that had a short run in the final three years of Studebaker. 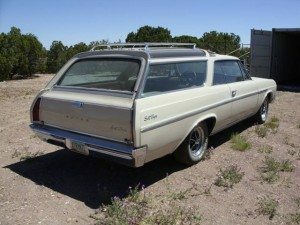 The wagonaire was a restyled Lark that had a distinctive rear roof that slid forward greatly expanding the cargo space. Studebaker advertising promoted their unique roof feature by showing families loading up in the open cargo area with kids, dogs and even a playground slide; actions that would get you pulled over nowadays! 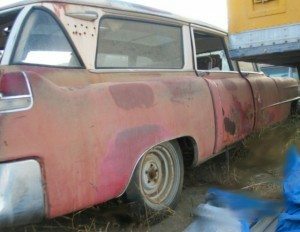 This 1965 Wagonaire is a beautifully restored rat rod is a beautifully restored wagon that for the most part retains its original look with some nice performance upgrades. The Studebaker is listed on Ebay and located in Ferndale, Washington. 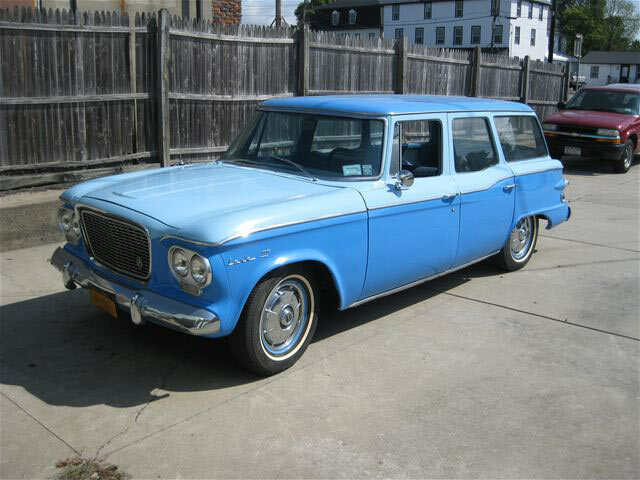 Last week we featured a very nice original fixed roof 1964 Studebaker Commander that ended up selling for $6,500. 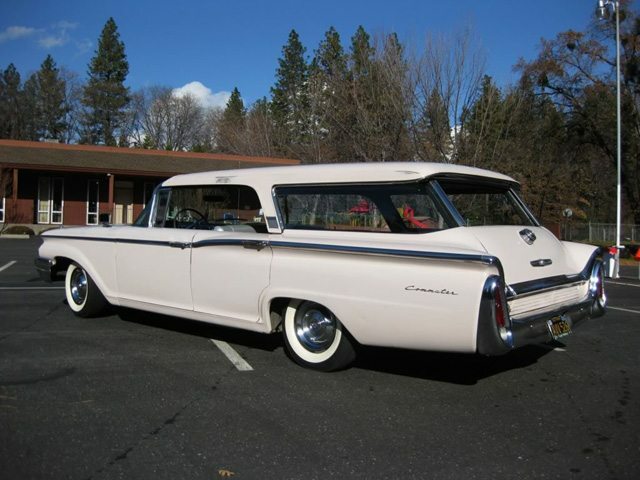 The losing bidders have a second change as another fixed roof 1964 Commander is up for bid on Ebay. 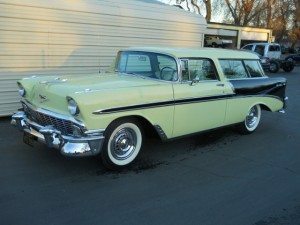 A few more photos would help us give a better evaluation but from what we can see and based on the sellers description this 41,000 mile Commander is original in every way right down to the gold factory paint that still shines like new. A certificate of originality comes with the car allowing it compete in the Historical Preservation Class. 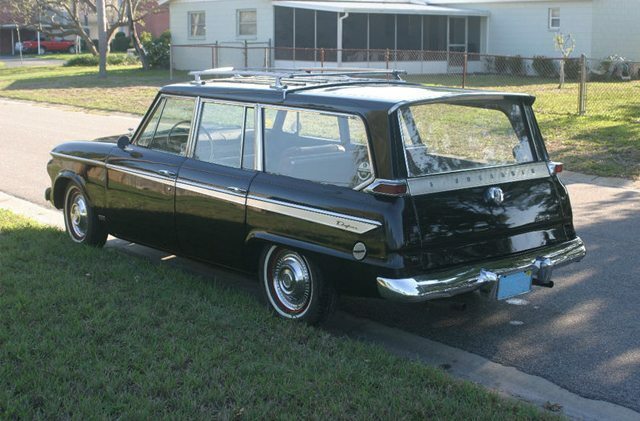 When Studebaker came out with the sliding roof station wagon in 1963 it was a pretty innovative design. Studebaker advertising showed the practicality of an open roof wagon with demonstrations of the extra cargo carrying capacity the open roof added. There was even a commercial with a very large dog standing in the back of the wagon with plenty of open air room. 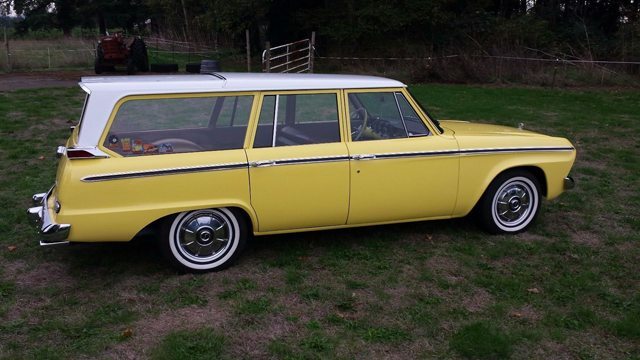 Apparently it wasn’t long before roof leaks and rattles became a problem with the sliding roof so a closed roof wagon was rushed into production for 1964. 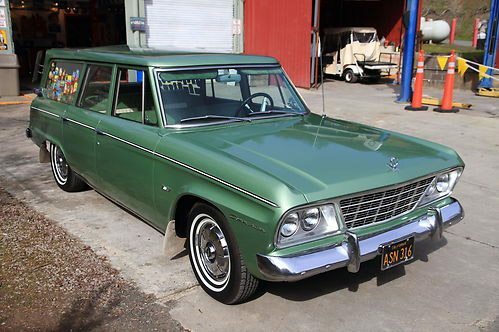 This ‘closed roof’ Commander found on Ebay is a California black plate car from a 40 year Studebaker collector. It is described as a great driver quality car that runs and drives smoothly with its 259 V8. Electronic ignition has been added as well as new tires in the correct size, fuel pump, front shocks, valve cover gaskets, front brake wheel cylinders, brake master cylinder, spark plug wires, motor mounts, all headlights, tail light lenses and very expensive LeBaron Bonney seat covers over the faded but very intact original upholstery. An added bonus on this car are the very cool original stainless steel wind deflectors and a nice collection of vintage vacation decals.